Dr. Milena Esherick is a licensed clinical psychologist with expertise in the areas of eating disorders and substance abuse. She is the former Program Director of El Camino Hospital's Intensive Eating Disorders Treatment Program - a partial hospitalization program for adults with severe eating disorders, mood, and anxiety disorders. In her role as Director, she facilitated groups for clients and their families, and she provided individual and couples therapy. Her approach to therapy integrates family systems, psychodynamic, cognitive-behavioral, narrative, and solution-focused interventions. Dr. Esherick's dissertation research was a qualitative analysis of the recovery stories of formerly anorexic women. Her research led to an increased understanding of the process of recovery from anorexia nervosa and the specific interventions that help women achieve full recovery. 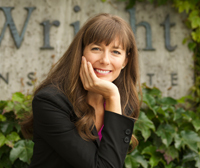 Dr. Esherick did her pre-doctoral training at Stanford University's Counseling and Psychological Services Center where she provided brief individual, couples, and group therapy, and she was a member of the eating disorders treatment team. She has worked as a family therapist in a low-fee outpatient psychotherapy clinic and as a therapist in the Berkeley public school system. In her private practice, which she maintained part-time for five years, she worked with individuals, couples, families, and children. Prior to earning her doctorate, Dr. Esherick received specialized training in drug and alcohol counseling through the University of California at Berkeley, and she worked as a drug and alcohol counselor in a variety of community mental health agencies including Thunder Road, a residential treatment program for adolescents. She conducted intake assessments; provided crisis intervention counseling, individual and family therapy; and she facilitated groups for adolescents, groups for parents, and multi-family groups. In her free time, Dr. Esherick works with several nonprofit organizations to help promote a healthy, humane, and sustainable food system. She is a California State Councilmember for the Humane Society of the United States and a Senior Advisor for the Good Food Institute. Dr. Esherick is a passionate community organizer and advocate, and she speaks nationally on the psychology of dietary and social change. You can follow her on Twitter at twitter.com/MilenaEsherick.